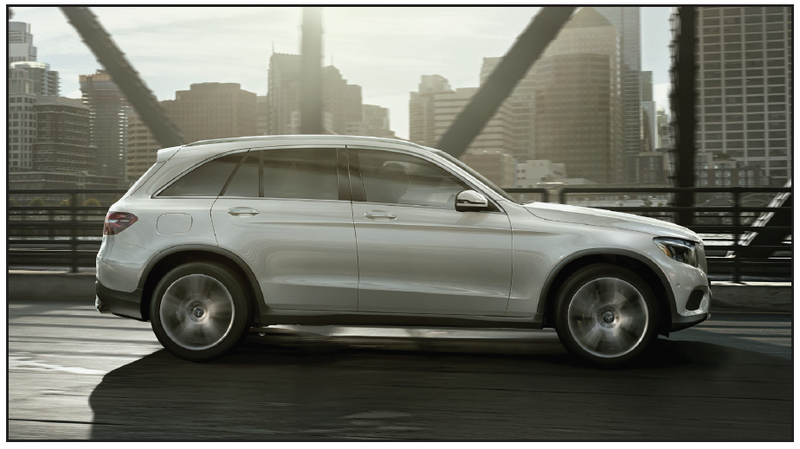 The turbo GLC 300 and plug-in hybrid GLC 350e with EQ Power are both energetic and energy-conscious. 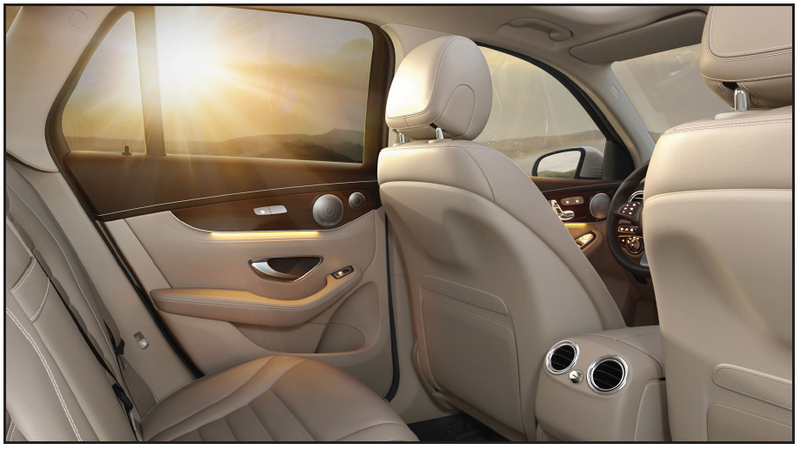 They embrace® the road and your passion for driving with composed comfort and a feeling of confident control. And they reassert the “sport” in SUV. With racing-bred design, the 4-wheel multilink suspension clings to curves yet glides over bumps and is rugged in the rough. 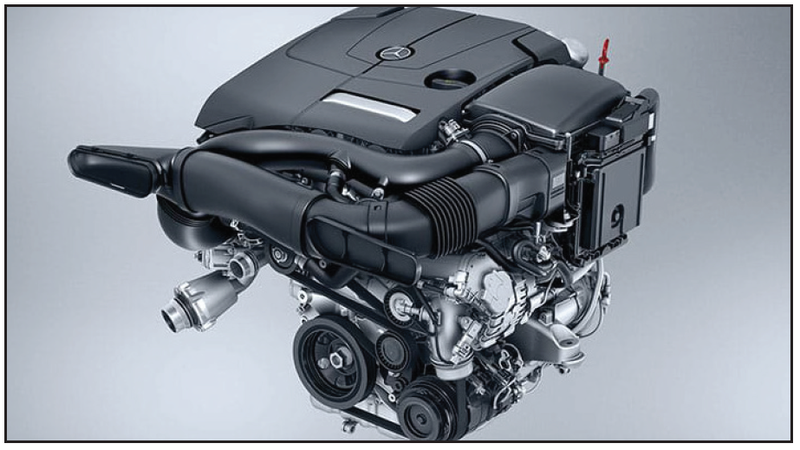 Innovative selective damping offers refined comfort, yet firms up instantly in sharp turns. *Bluetooth® interface does not provide phone charging or external antenna. Voice interactivity feature is dependent on selected handset. Phone sold separately. See dealer for a list of approved compatible phones. Bluetooth® is a registered trademark of Bluetooth® SIG, Inc. Apple CarPlay™ is a product of Apple Inc. Android Auto is a product of Google Inc. Device and app providers’ terms and privacy statements apply. Requires connected compatible device and data plan. Apps, content and features are selected solely by their providers. Connection to apps and streaming services may be limited by the device’s network connection. Data usage is routed through device and subject to fees, charges and restrictions in user’s wireless plan. 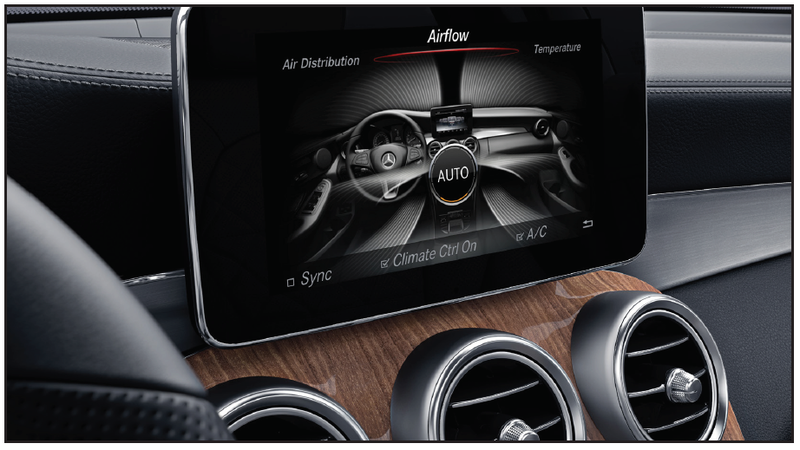 Vehicle’s factory audio/information interface, including COMAND® navigation and the apps of Mercedes-Benz mbrace® may not be used simultaneously with Apple CarPlay or Android Auto. When Apple CarPlay or Android Auto is in use, the steering-wheel voice control button accesses Siri® or Google voice recognition software for voice commands.